The gimmickery called routine echocardiography in pre-operative cardiac risk assesment ! Can you safely rule out heart disease before non cardiac surgery without echocardiography ? Yes , in most situations . Experience suggest If the clinical examination is normal , ECG and X ray do not show any abnormality , significant heart disease is ruled out 95/ 100 times. Please note : ECG and X-ray can not R/O Coronary artery disease by any degree of specificity .Echo cardiogram also miserably fails to predict future CAD. But EST / TMT does this very efficiently! So where does the echo comes in the routine protocol in the screening of heart disease* ? “No where” to be precise. It is only a gimmick . But many physicians and anesthetists are obsessed with echo estimated LV EF % They invariably ask for pre operative echo for cardiac risk stratification. * On the other hand EST has a strong case for inclusion as a routine screening test before surgery. What about diastolic dysfunction ? 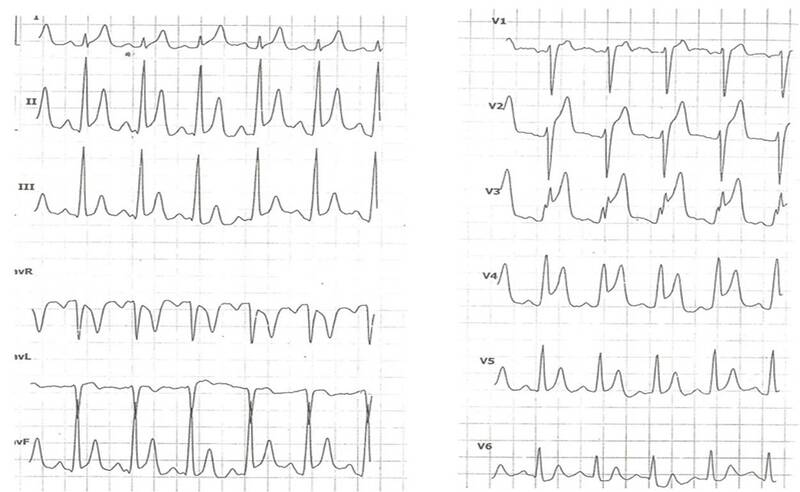 ECG and X ray will not miss a manifest myocardial disease . However concealed diastolic dysfunction can not be detected without echo. 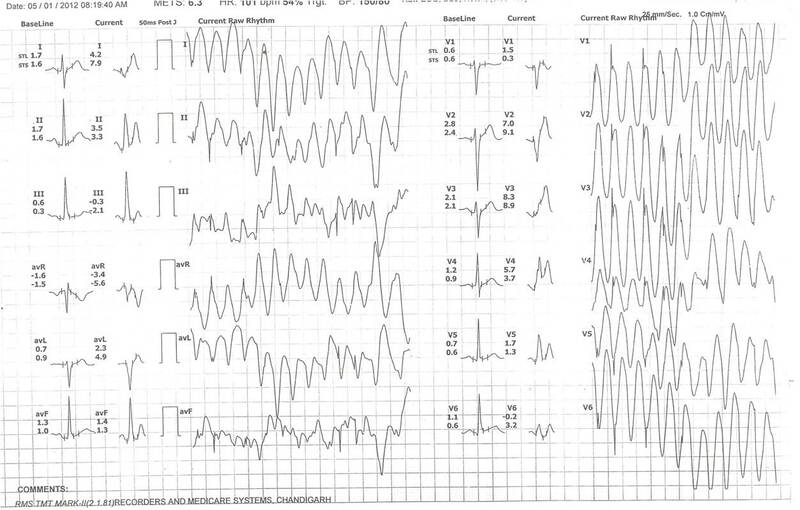 It is very common to detect early forms of diastolic relaxation abnormalities in echo . Significance of this is not clear especially if it is grade 1 . In this situation patient’s functional capacity comes to our rescue. In a non functional patient any degree of diastolic dysfunction may increase the pulmonary capillary wedge pressure. These patients must be monitored and fluid administration should be be judiciously used. Echocardiography rarely comes* in the routine scheme of things in the pre -operative cardiac risk assessment. First question to ask before non cardiac surgery is about the symptoms and functional capacity . ( Do you climb 3 floors ? Walk 6 km /hr . lift 20kg over a flight of stairs , objectively walk 9 mts on treadmill with std Bruce) If he is asymptomatic and his functional capacity is good , for all practical purposes he will be fit for surgery in cardiac point of view . Next , we need to look the ECG and X ray chest . If one of them shows some evidence for chamber enlargement / q waves etc ,an echocardiography is ordered . If you really suspect CAD one should go for EST or doubtamine stress ECHO. In this funny medical world , a cardiologist can not do what he wants to do . I have encountered surgeons and anesthetics refusing to take a patient for surgery without knowing the ejection fraction ! Once when I gave a surgical fitness without taking an echo there was a furore from the corporate desk of a big hospital . How can you make decision without these modern gadgets they seemed to ask ! Future looks lovely for cardiology ! I stumbled upon this presentation which deals how to approach to a problem of congenital heart disease. In a newborn or an infant . It is clearly a master piece . A life time experience of a pediatrician condensed in 130 slides . It is from Kerala .India. To quote an example from this presentation. When you want to rule out urgently a congenial cyanotic heart disease in the bed side * What will you do ? What is hyperoxia test ? Axminster 100 % O2 . Measure satutration.If the PO2 crosses 200 , virtually any cyanotic heart disease is ruled out. If it is less than 150 , it is very much likely the baby has a CHD ! Fine art of thrombus suction in STEMI ! Distal protection as concept is rapidly dying out as we aim to remove all the thrombus . Apply continuous negative pressure once catheter reaches the thrombus do not release it till you enter back into the guide. Watch out for side branch spill over. * During dire emergency when you do not have a specialized suction catheter do not hesitate to push even a diagnostic catheter into the coronary .We have saved few lives ! Can we connect the suction apparatus into LAD micro catheter ? Do we have camera guided suction catheter ? Can you flush the thrombus if you are not succeeding in aspiration ? Is ultrasonic desiccation of thrombus possible ? Some of the tips were gathered from the recently concluded India Live 2012 conference in New Delhi . When every one is blinded . 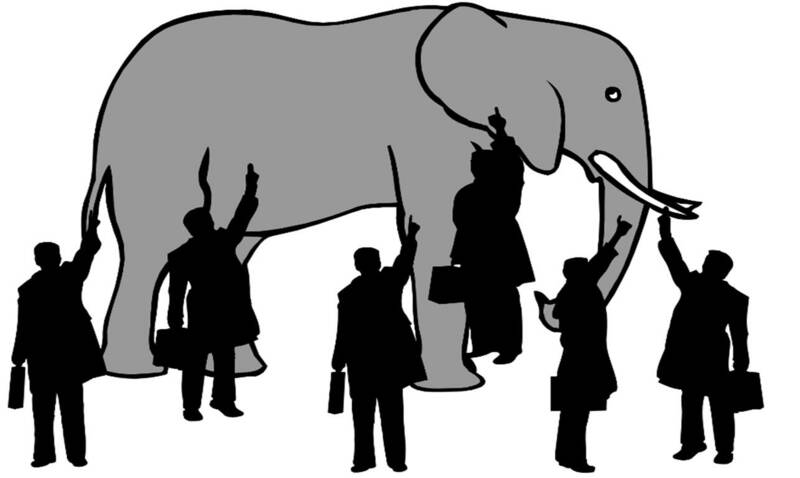 . . who shall awake medical research ? 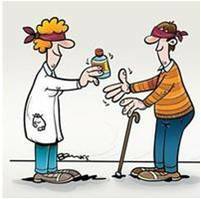 Blindness brings doom to most life situations , paradoxically it is supposed make us wiser in medical research . We are made to believe , the shrewdness and the accuracy of a study is directly related to the degree of blindness . Is blindness such a great thing ? The fact that medical research requires tight blindness for maintaining truthfulness , implies there is a huge potential for contamination by vested vision . Our experience suggest the purpose of blinding a study has entirely a different meaning in today’s world. Telmisartan is non inferior to Ramipril proved by a double blinded RCT screams a headline in a popular journal ! Both the patient the doctor do not know what is the study the researchers knows it . The Researchers , the doctors and the patients . . . no one knows what they are doing . Then who will know it ? Please be reminded , few powerful men are always awake to manipulate the study. For the practicing doctors the blindness often continues even after publishing the trial as vital information are with held. How accurate is the TR jet derived Pulmonary artery systolic pressure ? Measuring TR peak velocity is the most popular method to assess pulmonary arterial pressure.It is universally believed TR jet predicts the systolic PA pressure fairly accurately. By all means it is a wrong perception. At best , it has only 40% correlation with cath derived PAP . In other words cardiologist are fooled by TR jet more often than not ! Here is an elegantly done study from American Journal of Respiratoty and critical care medicine in patients who had undergone lung transplantation . It compared systolic PAP derived from Doppler vs cardiac cath. Over estimation is the key error. Error of under -estimation less common . 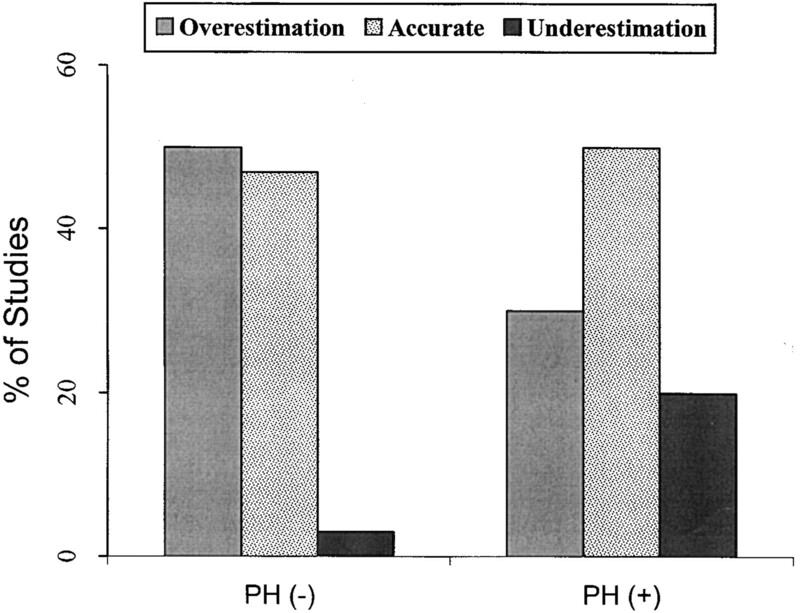 Under estimation more frequent in patients with PAH. It is prudent , cardiologists are expected to be aware of this harsh fact and should be meticulous in tracing TR jet and reduce the error. One controversial but logical suggestion would be to drop the ritual of adding empirical RA pressure 5- 10mmhg over the TR jet while calculating PAP , as there is 60 % error of over-estimation that naturally occur with TR jet. What are the mechanisms of “Pulmonary Arterial Hypertension” in Dilated cardiomyopathy ? Pulmonary arterial hypertension (PAH ) is an uncommon manifestation of dilated cardiomyopathy .While pulmonary venous hypertension of some degree is expected in most patients with DCM, it is rare for these patients to go for severe arterial hypertension. The reason for this may be the natural history of DCM do not allow these patients to live that longer to manifest severe PAH. Still , we encounter this problem atleast in tertiary hospitals. Presence of moderate to severe PAH (> 50mm peak PAP) is a sinister sign in DCM. They not only do badly , they also make the transplant outcome dismal . What causes this severe PAH in DCM ? The following observations are made in our institute . Now we know , isolated systolic dysfunction is rarely associated with PAH .It is the presence of LV diastolic dysfunction (Often restrictive ) that raises the pulmonary pressures. PAH of DCM is rarely progressive. One important suggestion is the DCMs which are associated with severe PAH may indeed represent late stages of RCM , when the LV begin to dilate. Atrial fibrillation has a significant impact on elevating pulmonary venous and arterial pressures in DCM. Further , the positive inotropic agents when liberally used will worsen the diastolic properties of LV. Finally involvement of right ventricle in the cardiomyopathy process can have an ameliorating effect on PAH. A good RV function is essential to lift the PA systolic pressure. If RV failure is causing a low PAP , do not be happy .It simply means RV is going to say good bye . . . for the final time ! How to manage PAH in DCM ? There is no specific management strategy . Presence of PAH should be considered as an independent indication for anticoagulants as in situ pulmonary thrombus is common. The effect of cardiac resynchronisation therapy in reducing the PAH of DCM is not convincing. PAH in DCM is an unwelcome development. It makes the situation tough . The mechanisms are diverse .Understanding the mechanism would help us deal this problem better . Conventional anti failure treatment may help ,but it is wiser to try reserve drugs.